Let's finish this week - a week that began by seeing how our physical suffering can be a sermon - with a prayer from none other than my friend Scotty Smith. 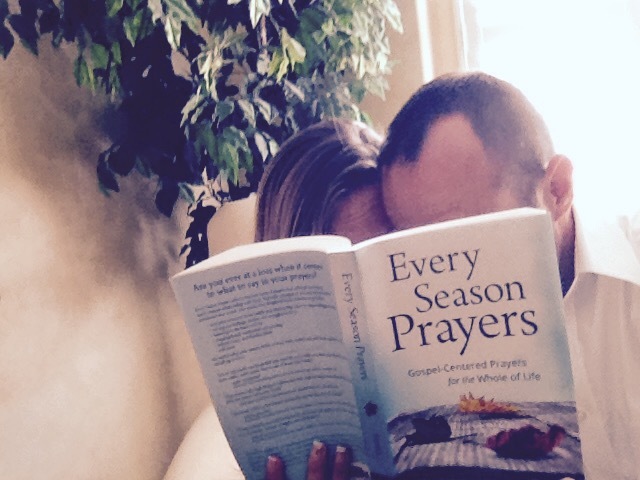 (Loretta and I are holding his book and can't get enough of it.) I think prayer is the appropriate response for our condition and posture of pain. After all, like we've said before, it's not a sermon until it gets to Jesus so let's take it to Him together. "Dear heavenly Father, the current annoyances and pains in my body (and the illnesses and aches of some very dear friends) give me an unavoidable opportunity either to whine or worship. And since I know where my whining usually takes me, I gladly move to the posture of worship. First of all, thank you for giving us the important gift of lament. I’ve learned the hard way that if we’re unwilling to grieve our losses then our compassion for others will be significantly stunted. I don’t like brokenness and sickness, and limitation and pain, but if it tunes my heart to care for others, grant me grace, Father, to rejoice in suffering. That being said, I am SO looking forward to the new body we will receive when Jesus returns, which Paul celebrates in the Scriptures. Our healing will be complete, and never again will we experience sickness and pain in any form. No more cancer or even headaches; no more joint replacements or even runny noses. Father, thank you that Jesus not only secured the perfection of our spirits, but also the resurrection of our bodies. Even as Jesus was raised from the dead, we too will be raised. We groan now, but will be whole forever. Hallelujah! These “light and momentary troubles” are incredibly inconvenient and bothersome; but our rejoicing will be eternal. Until that Day, Father, I will seek to take care of myself, and will trust you for healing and health. And by the power of the gospel, please help me be someone in whom the weak, weary, and broken find understanding and encouragement. So very Amen I pray, in Jesus’ tender and triumphant name."